'Vortex' Backdrops create a futuristic and hightech vibe. 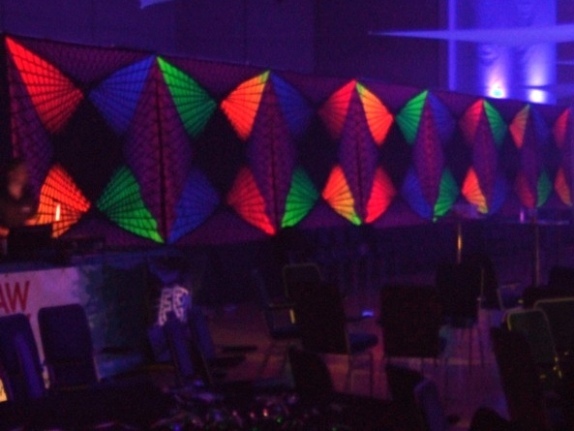 Also suitable for Psychedelic events.. The paint used is responsive to Ultra Violet (UV) lighting. Made on lightweight Fire Retardant cotton twill. They are hemmed and have metal eyelets along the top for easy hanging. Backdrops fit together to make a continual scene and can be hung either landscape or portrait style.